Following is a rudimentary list of sites providing information about MS and resources for those living with MS. We’ll be adding to this list and gladly welcome suggestions. If you have a favorite resource you think we should add to the list, please leave it in the comments. National MS Society – A wealth of information and resources. 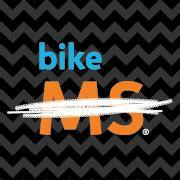 National MS Society, Oregon Chapter – If you live in the area, check out the Oregon Chapter of the National MS Society website to find out about local resources and events. MS Connection – A community of people living with MS and the loved ones supporting them.